Special Bulbs List – of miniature daffs etc from the collections grown here in Somerset. 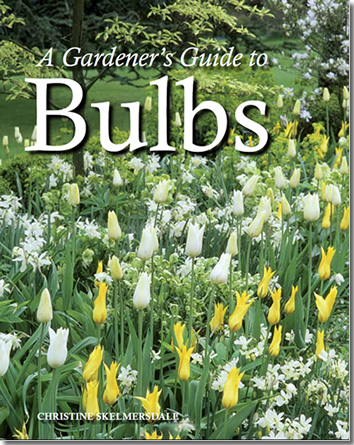 Available to order now – we will take payment when the bulbs are sent in the autumn. Our Autumn catalogue of spring flowering bulbs will be available in May or you may make an advanced order now. Based in Somerset, UK, Broadleigh Gardens has been leading the field in the propagation and mail-order retail of small bulbs for over 40 years. We are a Family run business and you can be assured of top quality bulbs from us and a personal service. As well as a full range of cyclamen, snowdrops, S.African bulbs and woodlanders, we hold the National Collection of Alec Gray hybrids – miniature daffodils. 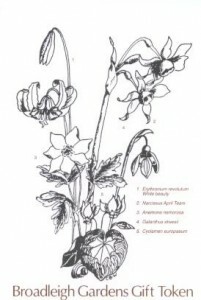 We also have a historic collection of unusual daffodil varieties and species. We also offer a wide range of complementary herbaceous plants including hellebores, species iris, and our stunning range of Broadleigh exotic Pacific Coast Iris. 2. 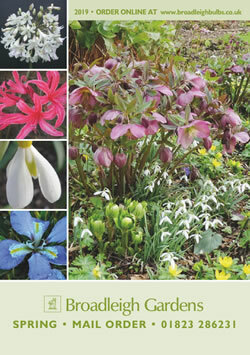 Autumn Catalogue – (printed version available from June) of mainstream tulips, daffodils crocus etc. and our popular pot collections. You can order from this online now. Our specialist list of unusual bulbs grown by us – most are listed in the back of the spring catalogue , please use the yellow order form or see an extended version online . It covers items posted in August (autumn flowering bulbs) and Sept-Nov (dwarf daffodils, Pacific Coast iris and spring flowering bulbs). Why not come and visit our display gardens and nursery, which are open all year, Monday to Friday, 9 am to 4 pm except Bank Holidays: £2.50 donation to St Margaret’s Somerset Hospice. Our generous visitors have helped us raise over £5,000 for this good cause. Pre-booked orders can be collected in season, and we have a limited range of plants for direct sales. Christine Skelmersdale’s book was published in October 2012. 240 pages, almost 400 illustrations. All are arranged seasonally with guidance to use and associations. Our unique and very popular Gift Tokens, drawn and designed by Christine Skelmersdale, make ideal presents for gardeners. Tokens to any value. Order here.